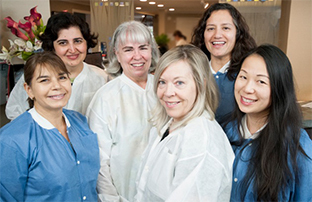 The hygienists at the Palo Alto Dental Group are highly trained, licensed professionals dedicated to providing sensitive, comprehensive care for our patients. In addition to cleanings, our hygienists educate patients on oral health. The hygienists at the Palo Alto Dental Group maintain their skills with the latest advances in their profession.